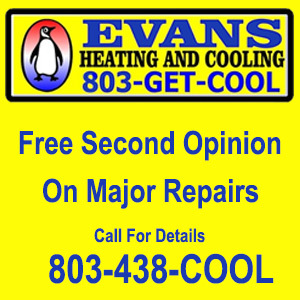 Evans Heating & Cooling is your one-stop shop for all your home or business comfort solutions, which includes Air Conditioning and Heating service, repairs, sales of new installations, home energy ratings, load calculation and duct design. 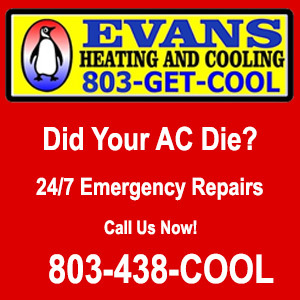 We help you stay in comfort during the long, hot summers here in South Carolina. Because of the heat and the humidity, there are special concerns for your air conditioning system. During the spring is a good time to have your system checked to ensure it will survive the summer. The last thing you want is for your system to fail when it’s 100+ degrees outside!